Bob Grant, the right-wing talk radio host whose testy, confrontational manner made him a dominant voice during the drive-time hours in New York for decades, died on Tuesday in Hillsborough, N.J. He was 84. His death was announced by the New York radio station WABC, where he attracted his biggest audiences. Mr. Grant thrived on the radio despite being boycotted for racist remarks, and despite a trademark habit of hanging up on his own callers. But his sharp tongue also proved his undoing. 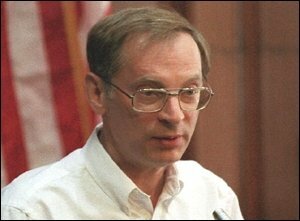 In 1996, WABC fired him over a remark he made after news reports said a plane carrying Ronald H. Brown, the commerce secretary in the Clinton administration, had crashed in Croatia. In a comment on the air following the news bulletin, Mr. Grant seemed to express the hope that Mr. Brown, an African-American and a perennial target of his scorn, had not survived. All 35 people aboard the plane were killed. Mr. Grant had hosted radio and television talks shows in Los Angeles when he arrived in New York in 1970 to work at WMCA, a major radio station in the region. He left WMCA for another competitor, WOR, in a contract dispute shortly afterward and joined WABC in 1984. By then his arch disdain for liberals, prominent black people, welfare recipients, feminists, gay people and anyone who disagreed with him was familiar to his listeners. The white supremacist David Duke had been a frequent guest on his show in the 1970s. The George Zimmerman of his day Goetz (who’s still getting into trouble — this time out for dealing drugs) made Grant’s dearest White Supremacist dreams come true. Mr. Grant was among the first radio hosts to take full advantage of the repeal of the Fairness Doctrine in 1987; as part of the Reagan administration’s drive for large-scale federal deregulation, the repeal essentially freed broadcasters to vent political views without having to present opposing perspectives. He became openly partisan, friendly to Republicans like Mayor Rudolph W. Giuliani and Gov. George E. Pataki and hostile to Democrats like Gov. Mario M. Cuomo (whom he called “Il Duce”) and Senator Frank R. Lautenberg (“Senator Loussenberg”). He also became less constrained in talking about race. Civil rights leaders and media watchdog groups complained about Mr. Grant, but the attention seemed only to enlarge his political influence. His studio was a must-stop for candidates for Congress, mayor and governor. Mr. Giuliani and Mr. Pataki each publicly thanked him for his support after winning their first elections to high office, saying they would not have won without it. Part of Mr. Grant’s appeal was a Dirty Harry persona, expressed in outbursts of impatience with callers. He dispatched them profligately — sometimes for disagreeing with him, sometimes for agreeing too obsequiously, and sometimes, it seemed, just because he could. “Get off my phone, you creep!” was his signature shout. Off the air Mr. Grant was courtly and polite; on the air, he articulated the frustrations of “the working stiff — the guy who pays $4 a day in bridge tolls just to go to and from work,” the WABC program director Mark Mason said in 1988. Fans said Mr. Grant hated and baited everyone, noting that he also railed against “subhumanoid” whites. He was like a pro wrestler, they said — all bluster and choreography. But Michael Harrison, founder of the talk radio monthly and online journal Talkers, said Mr. Grant believed every word he said — though like any performer, he added, Mr. Grant had created a persona as a vehicle for his views. Mr. Grant always denied being a racist. The civil rights activist Roy Innis, Justice Clarence Thomas and the columnist Thomas Sowell, all of them black, were among the conservatives he admired most, he said. “I’m no more racist than you are” was his standard reply to a question he considered insulting. The Rev. Jesse Jackson and the Rev. Al Sharpton organized advertiser boycotts, and the liberal-leaning watchdog group Fairness and Accuracy in Reporting publicized his remarks. The Walt Disney Company, the parent company of WABC, fired Mr. Grant. The Walt Disney company is part owner of A&E but clearly has no intention of firing Phil Robertson. My how times have changed. He was back on the air two weeks later in a return to WOR. But his ratings never again rose to the No. 1 spot he had held for most of a decade. Mr. Grant stayed at WOR until 2006. A year later he returned briefly to WABC before leaving to host an Internet radio show, “Straight Ahead!” He was back at WABC again in September 2009 as the host of a Sunday talk show. He retired in 2012. At its peak, Mr. Grant’s power dazzled a younger generation of conservative syndicated talk-radio hosts. 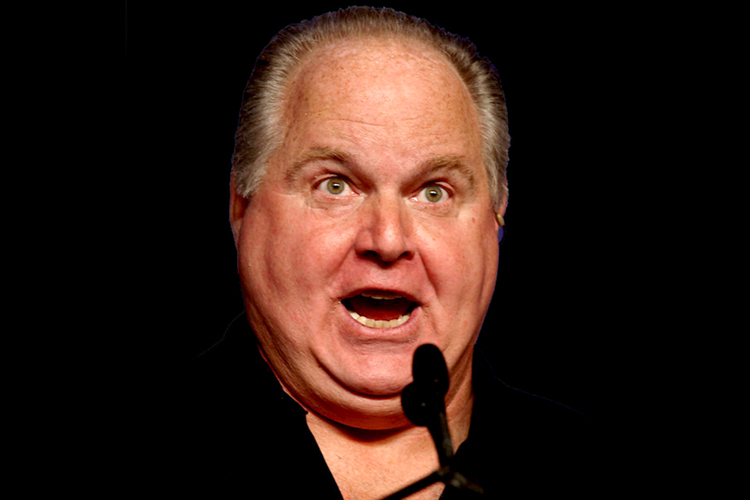 Rush Limbaugh and Sean Hannity, who came to his defense during the 2008 controversy, considered him a founding father of their radio format. After graduating from the University of Illinois, Mr. Grant was a radio reporter in Chicago and a talk-show host on local television in Los Angeles. In 1964, he began hosting a radio call-in show, filling in for Joe Pyne, a pioneer of right-wing radio, who became a mentor. He was a divorced father of four in 1970 when he left Los Angeles for New York. Mr. Grant is survived by his companion, Josephine Saracco; his sons, Jeff and Chris Grant; his daughters, Alisa Mingus and Cynthia Gaydosh; eight grandchildren; two great-grandchildren; and his sister, Ann Ryan. Hey, HE’S the one who “played the Hitler Card,” not me!